The Single Point Of Access (SPOA) is designed to make accessing help as easy as possible. 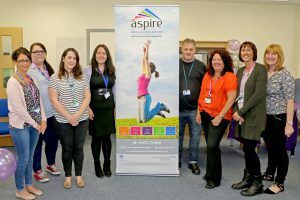 For anyone service users, carers, family members or professionals the team provide an easy way in to Aspire and advice, support or signposting. 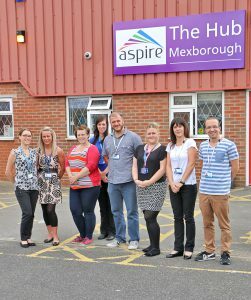 The service provides immediate access points to Aspire and help, advice and support. No appointment is necessary, just walk in. We believe it’s vital people can access our services in the communities where they live, to make it as easy as possible for them to get the help and support they need, and build meaningful recovery in communities. The team offer support and someone to talk to straight away. Advice and information and sign posting to other services are also offered for people who drop in or phone. SPOA is the access point to all the resources in Aspire. 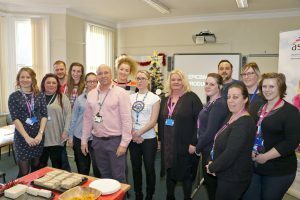 This is done through a comprehensive assessment which will identify the strengths and needs of service users which helps inform an individually tailored recovery plan for each person. A discrete and separate entrance provides access to a specialist needle exchange where people can exchange their needles and other paraphernalia and get specialist advice and information. For more information about needle exchange services in Doncaster, please follow this link. A short 12 week programme is offered which for many people provides the support they need to begin their recovery. The programme is suitable for people with either drug or alcohol problems. 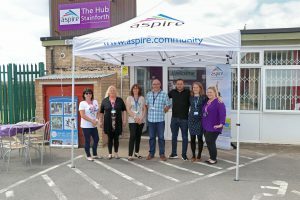 A social area which offers a warm and friendly environment to relax in and support recovery and personal development is available through SPOA. To access this, ask the team in SPOA.